E-International Relations (E-IR) was founded 10 years ago this week. During that time we have interviewed over 150 academics, policy-makers and journalists. To celebrate E-IR’s 10th anniversary we asked some of our existing interviewees two further questions reflecting on the last decade in International Relations. 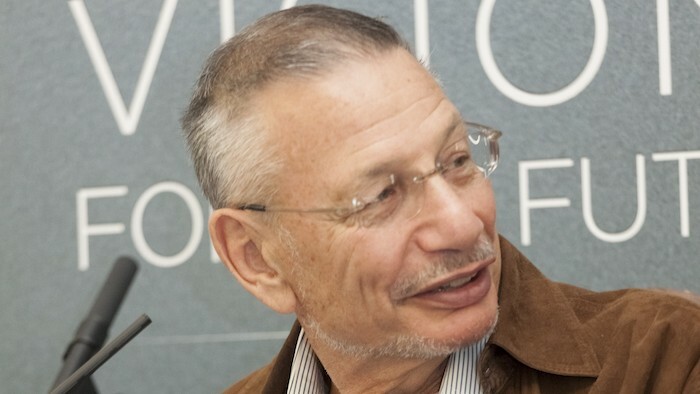 Richard Ned Lebow is Professor of International Political Theory in the Department of War Studies at King’s College London, Bye-Fellow of Pembroke College at the University of Cambridge, and the James O. Freedman Presidential Professor (Emeritus) of Government at Dartmouth College. He has published over 20 books and 200 peer-reviewed articles in a career spanning six decades. Among his recent publications are Constructing Cause in International Relations, The Politics and Ethics of Identity: In Search of Ourselves, Why Nations Fight: Past and Future Motives for War, and Forbidden Fruit: Counterfactuals and International Relations. Professor Lebow was interviewed on his theory of constructivism, the concept of identity in IR and the drivers of research in 2014 and 2016. What changes have you seen in International Relations or your field over the last 10 years? I’m probably not the right person to ask this question because I read and write less in IR these days than previously. Some of my publications are in IR but most bridge to psychology, classics, history, and more recently, philosophy of science. I also work in a War Studies department, not a political science or IR one, although War Studies has an IR faculty component. Moving from the US to the UK, which I did 6 years back, makes the differences between the US and the rest even more evident. Realism and liberalism are minor paradigms here and on the continent. Constructivism, critical theory, Marxism, Philosophical realism, feminism, the English School, and the Copenhagen School all have more adherents. The acid test of difference is the invitations I receive to give talks. For the last fifteen years – so well before I relocated – I have been keeping a tally. I receive 18 requests to talk in the UK or in Europe to every one I receive in the US. I also receive many more invitations to speak in the Middle East, Asia, and Down Under than I do in the US. I don’t see fundamental changes in teaching, although British universities are increasingly micromanaged by increasingly incompetent managers. Here, as in the US, there is more reliance on part-time faculty, who are exploited and fill classrooms at much less expense than their full-time counterparts. Publishing has changed with the increasing cost of producing books and greater reliance on e-book sales. Cambridge is charging 71 pounds for my newest book: Max Weber and International Relations. Presumably, their business model seeks to maximize money from library purchases, make e-books available to students and scholars, and then follow in six months with a paperback if the cloth edition does well. Like all publishers, they are producing fewer monographs, making it more difficult for young faculty to find good homes for their first books. What books, or other media, published in the last 10 years has made an impact on you and/or the discipline? Most books that really appealed to me in the last decade are not in international relations. However, I have been impressed by the work of many junior scholars in this field; the excellent books of Ayse Zarakol, Rebekka Friedman, and Catherine Lu have helped to shape my thinking. My recent work on political order, counterfactuals, and identity has greatly benefitted from scholarship in other fields. I urge younger scholars to read more widely and expand their intellectual horizons.